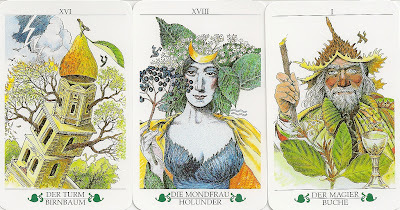 The deck is based on a German book "Madru - oder der Große Wald" that translates to 'Madru - or the Great Forest'. 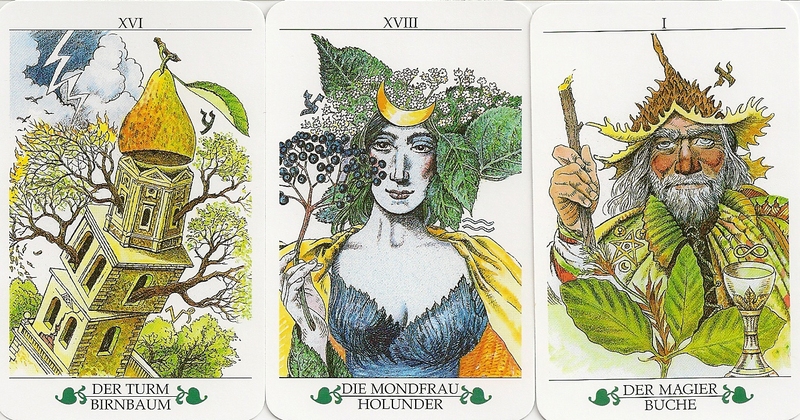 There is a tree assigned to each card, the assignment is inspired by the Celtic alphabet of trees (in which various trees are matched with letters of the ancient celtic alphabet). 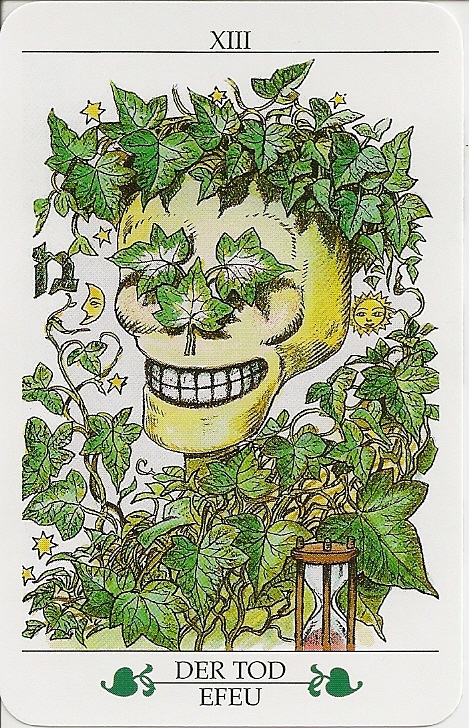 Each card shows a person dressed in or merging with a particular tree. A Hebrew letter accompanies the person. 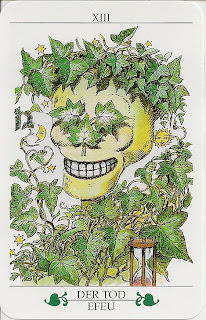 The backgrounds of the cards are white, each card is numbered in Roman numerals at the top, and the card title and its tree is typed at the base. Card backs show green diagonal prints of trees in winter, on white. The cards are packaged in a plastic container. Instead of a LWB ten extra cards are included with instructions, spreads, keyword meanings and a bibliography in German only.